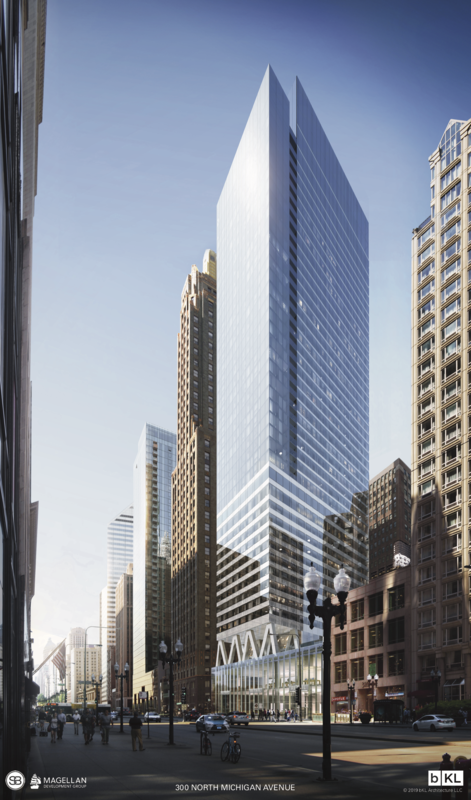 A proposed 47-story mixed-use building with hotel, residential, and retail components that would replace an existing 4-story masonry building. 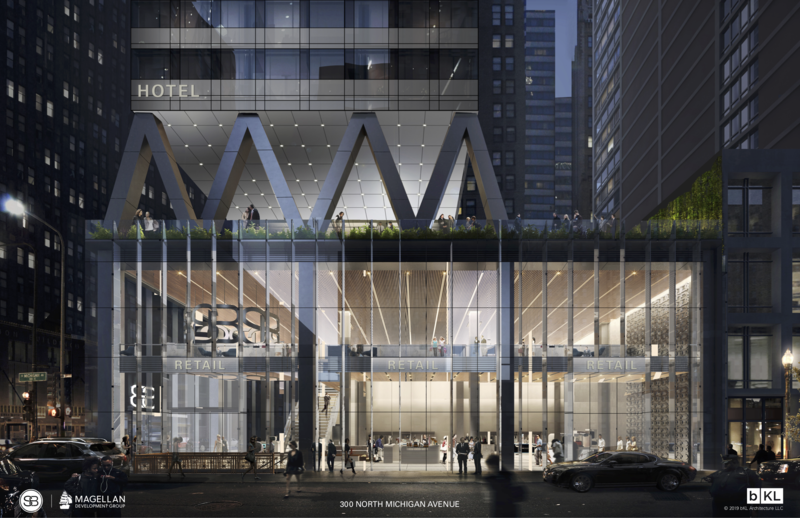 To be developed by Sterling Bay and Magellan, designed by bKL Architecture. 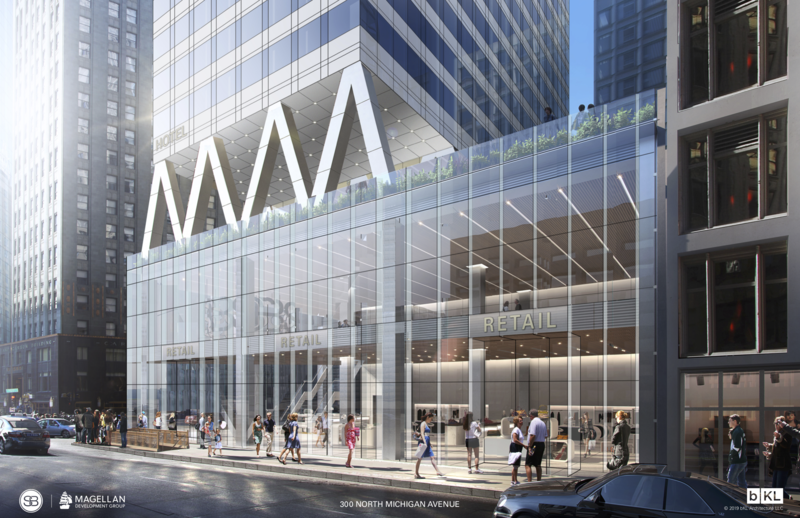 The 47-story structure includes a 523-foot shared residential- and hotel-tower over a retail podium. 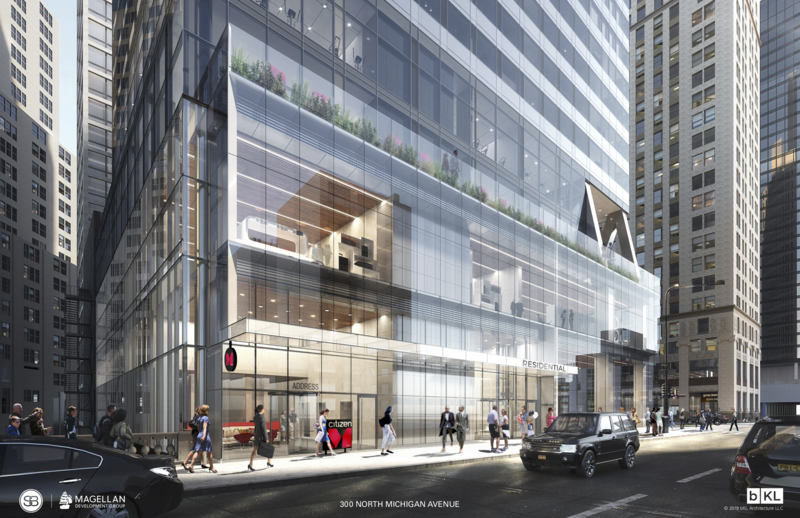 Two basement levels below Upper Michigan Avenue would house the building utility and parking functions, including 26 parking stalls and 48 bike parking stalls. 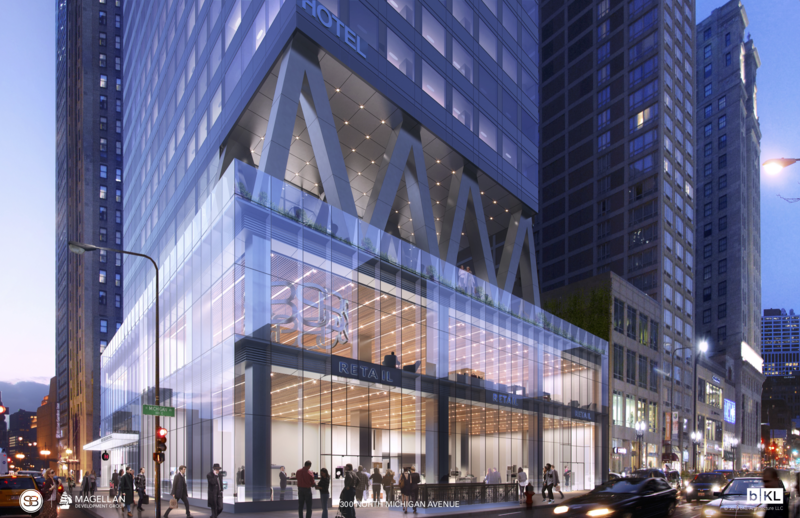 There would be 280 hotel rooms and 290 dwelling units. 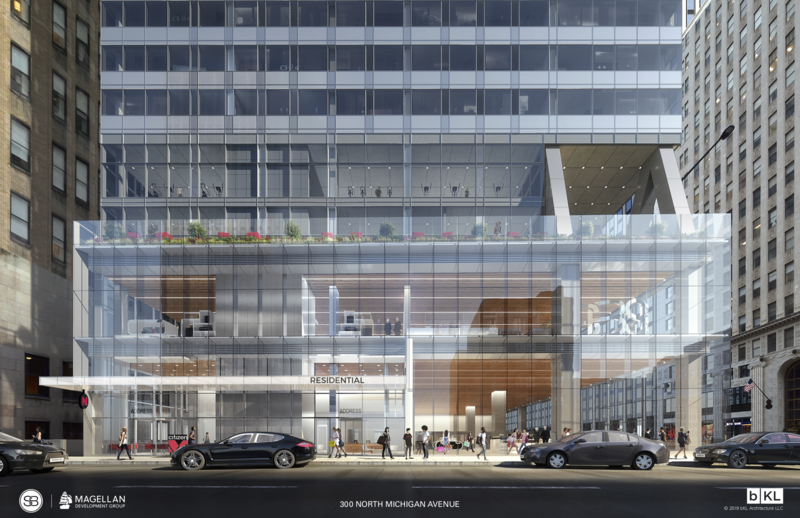 The DX-16 zoning district allows an FAR of 16.0, and the developers are going to purchase 9.9 more FAR points for a total of 25.9.